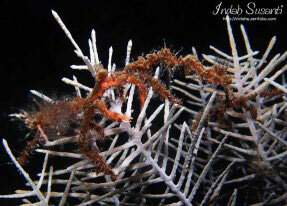 Welcome to SCUBA News - thanks for subscribing. This week we've rolled-out a completely new layout for our Web SCUBA News site at //news.scubatravel.co.uk/. I'd really like your comments, good or bad, on the new design. Have a look then e-mail news@scubatravel.co.uk with any criticism, or fill in our very short survey at http://scuba.im/1NWoGUT. Thank you very much! 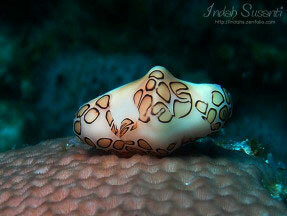 Affordable dive packages for the Maldives. Bulgaria is not the first destination you think of to go diving, but is emerging as a new diving area. The diving is in the Black Sea which has many wrecks. At 9 foot long, not including the tail, tiger shark "Harry Lindo" is not exactly on the small side. It's not Harry's size that is exciting scientists and shark enthusiasts, nor a photograph taken in 2009 by Ian Card showing a shark - suspected to be Harry, trying to eat a 150 lb juvenile tiger shark off the coast of Bermuda. Between 2009 and 2012 researchers tagged 24 tiger sharks with satellite transmitters in the Challenger Bank, which lies just off Bermuda in the Atlantic Ocean. Harry, it turns out, is one heck of an ocean wanderer. In just over 3 years Harry swam over 44,000 kilometres - that's more than the circumference of the Earth (just over 40,000 kilometres). Harry's track is the longest recorded for a tiger shark, and probably the longest ever published for any shark species. Tiger sharks are often spotted in coastal waters in temperate warm and tropical seas, but they also wander out into the open ocean. The tagging study is just one of a few multi-year studies tracking individual shark migrations. The researchers' hard work was well rewarded when it revealed previously unknown shark movements in the Atlantic. Most of the sharks in this study were male, but there were a few juvenile and females too. Adult males, females, and juveniles of both sexes spent the winter months in the Caribbean and the Bahamas. All the adult males and just one adult female headed out into the open ocean of the North Atlantic, near Bermuda in the summer. The repeated use of these two vastly different types of habitats up to some 3,500 kilometres or so apart was surprising for a species previously thought to be primarily coastal. The researchers think that repeated returns to the same sites may be better for the fish than constantly looking for new habitat. They know where their food is, so why take a risk looking elsewhere only to find none? How do you track a shark anyway? Sharks, being a marine species, can't simply be watched by people. In this study, the sharks with tagged with something called Argos satellite platform terminal transmitters, also known as PTTs. Every time a shark goes to the surface, these little tags send location to a receiving satellite. The researchers can then grab this data from the satellites. As for getting the tags on the shark in the first place, well you have to go fishing. Once the shark is caught, the tracker device is fixed onto the shark's fin and then it is released to go about its business. There is a a decent video showing shark tagging on YouTube (start at 1:07 if you don't want to watch the whole thing). 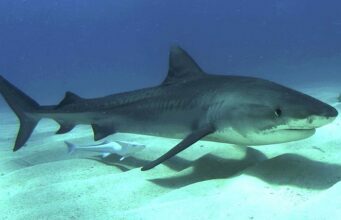 Like many shark species, the tiger shark is an at risk species. It is currently listed as 'near threatened' on the IUCN Red List, primarily threatened because it is targeted by fisheries, and caught as bycatch. If we want to help look after these sharks, understanding their movement is really useful. For example, earlier work by the Guy Harvey Research Institute highlighted how important the waters around the Bahamas were for the sharks. The Bahamas government responded by establishing a 'shark sanctuary' in 2011, in which all commercial fishing of sharks was banned in their territorial waters. Looking after sharks isn't just important for the sharks themselves either. They are an apex predator, and considered to be a 'keystone' species, playing an essential role in ecosystem health. One impact is to alter the predator-prey ratio, with alterations being felt throughout the food web. Lose too many predators can cause herbivore populations grow. If there are too many herbivores, you could lose plant-based habitat, like sea grass beds - and the species that depend on them. Head over to the Guy Harvey Research Institute Tracking Site where you can see movements of tiger sharks and other species, like blue marlin, sailfish, and mako sharks. 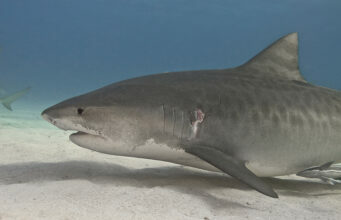 Images: Tiger Shark at Tiger Beach, Bahamas. Credit: 2010 Terry Goss, Terry Goss Photography USA/Marine Photobank; Juvenile tiger shark in the Bahamas by Albert Kok, CC BY-SA 3.0. Sam Andrews is a marine conservation communicator. She is especially interested in spatial conservation strategies for mobile species/life stages, such as dynamic ocean management and marine protected area networks. The travelling life of the tiger shark. Cuba has some world class diving - the Jardines de la Reina national park is one such area. Maria La Gorda is another protected diving area in Cuba, but as Indah Susanti explains, the diving in this area leaves much to be desired. "Hopefully (my article) will help other scuba divers and even the management to improve their services :)"
Maria La Gordahas nice dive sites but they were not so special. After amazing dives in Jardines de la Reina and Bay of Pigs<, I felt the overall diving experience in Maria La Gorda was disappointing, unlike the diving reviews I have read. We did 10 dives in Maria La Gorda with one night dive. Perhaps it was not the dive sites that made my diving experience in Maria La Gorda was disappointing, but more into the dive center management: Centro Internacional de Buceo Maria La Gorda. The dive center in Maria La Gorda, the only one that available in the area, ignored the comfort of the scuba divers as customers and more over, they did not care about safety and marine preservation by conducting mass-diving (one dive site could be entered by 30 scuba divers with two dive guides). The sea in Maria La Gorda was very easy to dive: no current, no waves, with fine visibility. It was perfect for beginner scuba divers and the dive center knew it. It ran three dive times per-day plus night dive at 8pm. The first two dives aimed for deep diving (until 30 meter or so) and the third dive aimed for shallow dive. The bottom time was 45 minutes regardless how much air the scuba diver still have in his/her tank. I have been diving in several countries and usually the dive centers would let scuba divers to dive for one hour if our air was still enough (not less than 50 bar). In several dives, my tank was still around 100 bar (and more) after 45 minutes diving, but yeah, since it was a mass-diving with only two dive guides, I had to surface with the rest of the group. Arrghh, this dive center stole my diving time! Mostly we dove with more than 10 scuba divers and one dive guide in the morning dives - which aimed for advanced and experienced scuba divers. The third dive was the worst, as beginner scuba divers also joined and plenty of them. In our experience it was more than 25 scuba divers and our last dive was even worst, more than 30 scuba divers in one boat and all dive in one dive site…gossshh..it was horrible! Did the dive center ever consider how much stress these 25+ scuba divers caused to the corals and fishes in the respective dive sites?! I was so pissed that I wrote a long letter to the dive center about how lousy the way they practicing the scuba diving in a preserved area. They should limit the number of scuba divers in each dive sites. And regardless how easy the ocean condition was for diving; it was not safe to have just two dive guides/masters with such big group! Maria La Gorda was certainly not a place for a long-term scuba diving holiday and certainly not an International class diving services as they claimed. There was no interaction between the scuba divers and their dive guides either like having good pleasant communication. In sort, the dive center was lacking of safety, ignore the marine preservation and no friendly services. It was sad to see lousy tourism management in the area that has so much potential. Anyway, it was a holiday and overall I did enjoy the beauty of Maria La Gorda secluded beach, the warmth of the sea and the nature of Guanahacabibes. But for sure I do not recommend this dive center and I would never return to Maria La Gorda. You can read Indah's travel and photography blog here. She also publishes great photos on Google plus. Scientists in Australia have discovered that vinegar kills Crown-of-Thorns Starfish just as effectively as the current drug, which can be expensive and difficult to source. Outbreaks of the venomous Crown-of-Thorns Starfish pose one of the most significant threats to the Great Barrier Reef. Two robotic vehicles will work together over the next three weeks to investigate why the deep area of the Celtic sea is particularly attractive to marine predators like dolphins and whales. Robots have produced the first true three-dimensional picture of submarine canyon habitats. The information captured in this new set of maps ranges in scale from the 200 km canyon down to the size of an individual cold-water coral polyp. The waters surrounding Bonaire and Saba in the Caribbean Sea are to become shark sanctuaries. State fisheries minister denies the program is a cull. A seal has found a living surfboard. It is on the back of a humpback whale, and along with the free ride it might be getting an easy snack. The U.S. Navy agreed this week to limit its use of sonar and other activities that unintentionally harm cetaceans and other marine mammals. The more we study dolphins, the brighter they turn out to be. A habitat as diverse as that in the Amazon rainforest will face ecological disaster unless the Government takes urgent action to restrict access to prime fishing grounds in the Irish Sea, marine conservationists have warned.